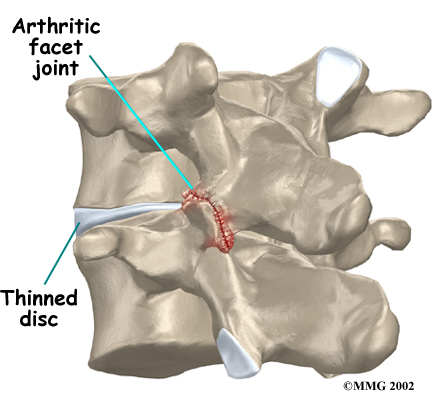 Welcome to Barclay Physical Therapy's patient resource about Lumbar Facet Joint Arthritis. Diagnosis begins with a complete history and physical examination. When you visit Barclay Physical Therapy, we will ask questions about your symptoms and how your problem is affecting your daily activities. This will include questions about where you feel pain and if you have numbness or weakness in your legs. We will also want to know what positions or activities make your symptoms worse or better. Our Physical Therapist then performs a physical exam to determine which back movements cause you pain or other symptoms. Your skin sensation, muscle strength, and reflexes are also tested. Some patients may be referred to a doctor for further diagnosis. Once your diagnostic examination is complete, the Physical Therapists at Barclay Physical Therapy have treatment options that will help speed your recovery, so that you can more quickly return to your active lifestyle. 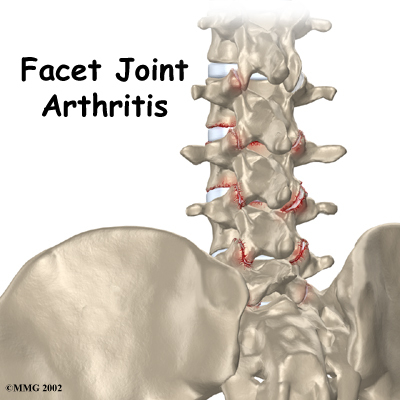 Facet joint arthritis is mainly treated nonsurgically. At first, your Physical Therapist at Barclay Physical Therapy may prescribe a short period of rest to calm inflammation and pain. Patients may find added relief by curling up to sleep on a firm mattress or by lying on their back with their knees bent and supported. 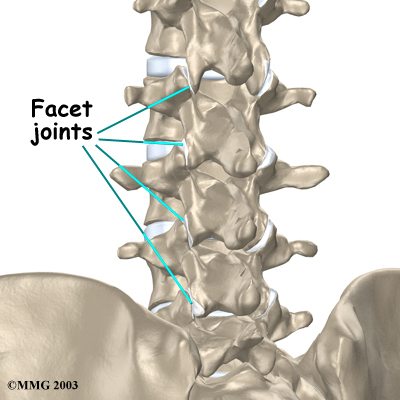 These positions take pressure off the facet joints. By evaluating your condition, our Physical Therapist can assign positions and exercises to ease symptoms. Our Physical Therapist may recommend traction. 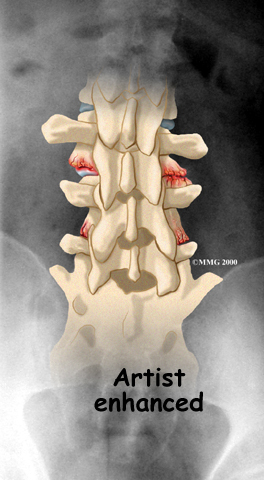 Traction is a common treatment for this condition. 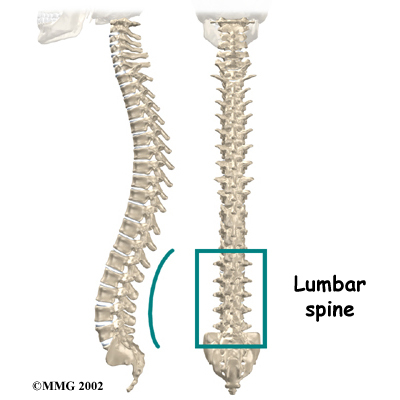 It gently stretches the low back and takes pressure off the facet joints. Although recovery time is different for each individual, as a general rule, our lumbar joint arthritis patients are normally seen a few times each week for four to six weeks. In severe and chronic cases, patients may need a few additional weeks of care. The Physical Therapists at Barclay Physical Therapy create a personalized program to help each patient regain back movement, strength, endurance, and function. Hands-on treatments such as massage and specialized forms of soft-tissue mobilization may be used initially. We use these treatments to help patients begin moving with less pain and greater ease. Our Physical Therapist may also prescribe strengthening and aerobic exercises. Strengthening exercises focus on improving the strength and control of the back and abdominal muscles. Aerobic exercises are used to improve heart and lung health and increase endurance in the spinal muscles. Stationary biking offers a good aerobic treatment and keeps the spine bent slightly forward, a position that gives relief to many patients with lumbar facet joint arthritis. We will show you how to improve strength and coordination in the abdominal and low back muscles. Our Physical Therapist will also evaluate your workstation and the way you use your body when you do your activities. Outpatient Physical Therapy, such as the programs offered at Barclay Physical Therapy, is usually prescribed only for post-surgical patients who have extra pain or show significant muscle weakness and deconditioning. Patients usually don't require Physical Therapy after facet rhizotomy. We may prescribe a short period of therapy when patients have lost muscle tone in their back and abdominal muscles, when they have problems controlling pain, or when they need guidance about returning to work. Although recovery time varies, as a general rule, patients who require formal rehabilitation after facet rhizotomy will probably only need to attend sessions for two to four weeks and should expect full recovery to take up to three months. Patients who have had lumbar fusion surgery normally need to wait at least six weeks before beginning a rehabilitation program. 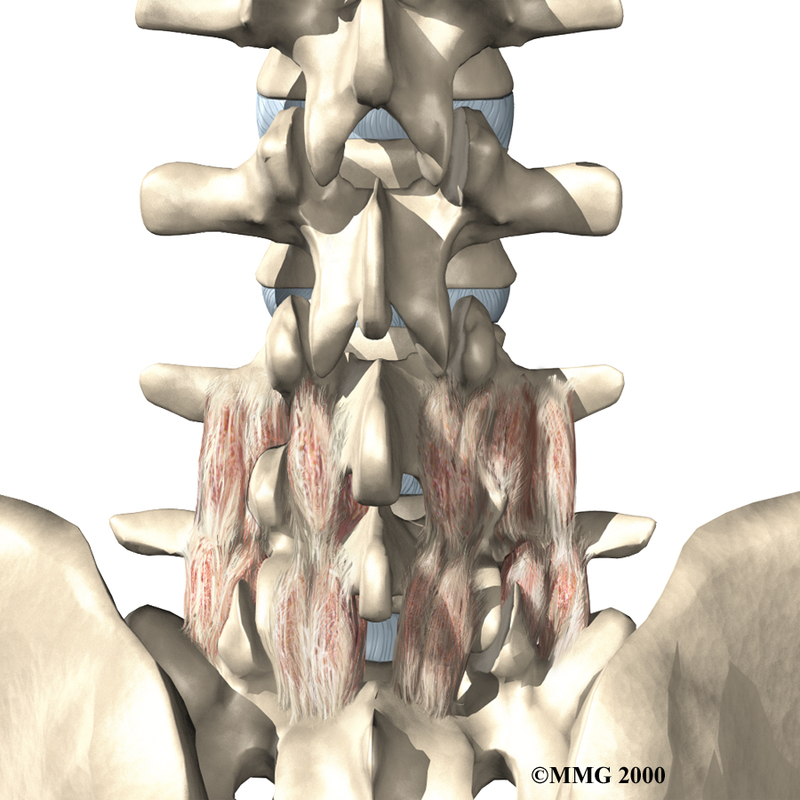 Again, although individuals recover at different rates, lumbar fusion patients typically need to attend therapy sessions for six to eight weeks and should expect full recovery to take up to six months. During Physical Therapy after surgery, our therapist may use treatments such as heat or ice, electrical stimulation, massage, and ultrasound to help calm pain and muscle spasm. 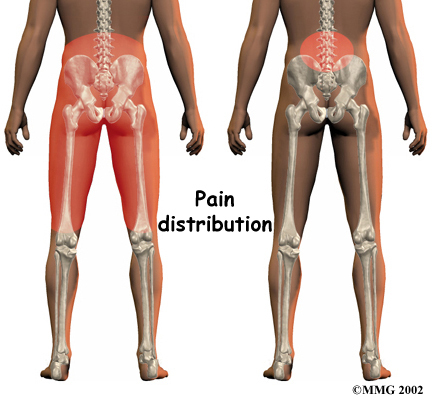 Then we will teach you how to move safely with the least amount of strain on the healing back. As your Barclay Physical Therapy rehabilitation program evolves, you will do increasingly challenging exercises. Our goal is to safely improve strength and function. As your Physical Therapy sessions contine, our therapist will help you get back to the activities you enjoy. You may need guidance on how to change the way you go about your activities and which activities are safe. Ideally, patients are able to resume their normal activities. When recovery is well under way, regular visits to Barclay Physical Therapy will end. Although we will continue to be a resource, you will be are in charge of doing your exercises as part of an ongoing home program. 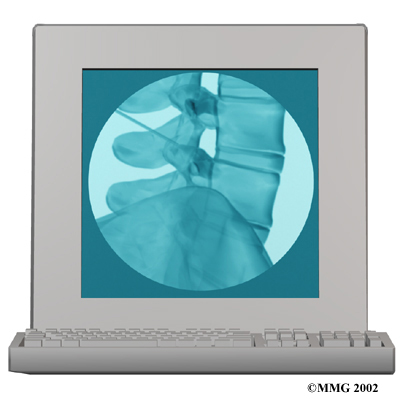 Your doctor may order X-rays to reveal if there are problems in the bone tissue in and near the facet joints. 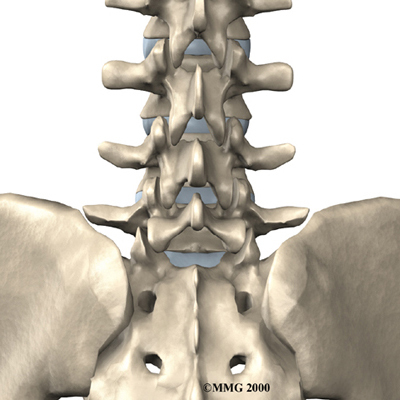 The images can show if degeneration has caused the space between the vertebrae to collapse and may show if bone spurs have developed near the facet joints.